Article author: Adrian Mallon (adrian@adrianmallon.com). Include your name and the date of writing your article, as above. Write your review as a plain text document in any text editor. If you are writing your review as part of a classroom exercise for webaite production, use the source code for this page as your template and submit your review as a .html document conforming with the XHTML markup standard or protocol. Your review should be original and your own work. If you quote or borrow words from any source (even a small part of a sentence by someone else), make sure that you indicate this by putting borrowed words or quotes in speech marks (inverted commas) and by giving a clear reference to your source. Use the Bibiography section of this website as a guide to how you should write and format references. Include copyright information for images in the image caption. © Adrian Mallon 2013. Obviously, that is not a very high resolution. 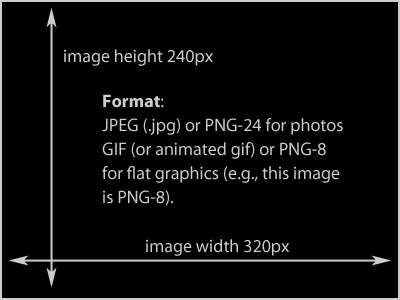 If you want to show high-quality image resolution, then, zoom in on an area to illustrate a point with a 320x240 image. Keeping images at this low resolution is done to lessen the risk of complaints about copyright infringement. It also ensures images can fit within a page column width without resizing and it ensures a consistent look and feel to the presentation of articles on the site. © Adrian Mallon 2013. Include copyright information for embedded video sources. How do I review a computer-generated performance which involves also human actor input? To what extent am I reviewing the human character performance behind the computer character's performance? Can they be evaluated separately? At this stage of the art, what one might mostly aim to do is to evaluate how well, or faithfully (we imagine) the computer character reflects the human performance, or even how it may enhance it, before evaluating the sum of those performances on the audience viewer, listener, interactor or player, practically and aesthetically. To distinguish performance as human and synthetic necessitates some awareness of design & production processes, to look at expressive aspects and possibilities of the tools themselves, that limit or stretch performance language. It also means reading performances in cultural and historical terms and viewing them for both reader-critical and artist-creative ends, since we can only create within the limits of what's possible at any place or time or resource point and under the influence of existing factors shaping the questions and answers and tastes that influence what we produce. At the minute (2013), best practice in computer-generated character performance seems driven by the challenges presented in creating realistic human performance for the most part (extended also to animals and to fantasy creatures). To this end, character creation involves a process often of photographing, scanning, motion-capturing, modelling, texturing, animating, lipsynching, rendering, and, in the case of game production, programming a human character subject. At all stages in this production pipeline, of course, humans exert creative influence, even in automated procedures, given that these processes themselves are typically batch setups designed and applied by human individuals. The automated aspects of character design for films and games, however, are currently very limited, but are likely to grow, given the very large numbers of people involved in the creation process and the significant time-scales required to craft characters with the high production values that are currently required by film and games industries. How does the physical appearance of the model affect the model's performance in a film or game? And are there instances when one could say that the appearance is immaterial to the performance? Photographing. Digital stills cameras to capture modelling and texture research and reference images, as well as to produce specific photographic assets, and Photoshop for image editing. Modelling. Either using scanned data or legacy models or from scratch, wireframe models are crafted using tools such as 3D Studio Max (3DMax), Maya, Cinema 4D, ZBrush. Typical models for stills or film rendering of images at the highest level of detail (LOD) may contain 80000+ triangular polygons (tris); principle synactor interactive characters in games often are 6000-30000 tris, with background characters having 750-4500 tris. Texturing. Depending on the studio practice, textures are applied directly to the model in their original modelling package. Procedural lighting and surface textural effects (those that require time and significant computer-processing power to be rendered) can then be rendered or burned into a new texture to apply to the object as a single texture (or skin). Extra detail, however, is often added in ZBrush software, resulting in a low-count polygon model created in 3DMax, say, being converted to a high-count, very detailed model, which is then rendered in a dedicated rendering package such as Mental Ray to create a highly detailed, painted texture to apply to a low-polygon model suitable for use in a game, say. Programming, in the case of game production. Including your own copyright notice. In the copyright section of the website it is noted that copyright in original aricles published on this website rests with the article's original author. Include copyright information for your article at the end, as below.